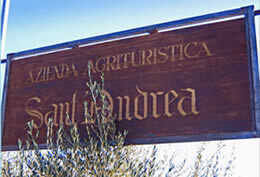 Villa Sant’Andrea is located within the outskirts of Castellana Sicula, the “entrance door” to the Parco delle Madonie. Cultural traditions, woods, luxuriant vegetation, wholesome air and excellent gastronomical and handicraft production are the ideal scenario for those who wish to spend relaxing holydays. Castellana Sicula dates back to XVIII century, when the Duke of Ferrandina, the feudatory, gave his Spanish wife’s family name (Castellana) to the land where nowadays we find the small town. The first urban settlement dates to early ‘700, when the farmers from Ganci, Petralia and Caltavuturo came here, attracted by its plains full of water and its climate. Since it was founded, and for about two hundred years, Castellana was a hamlet of Petralia. It obtained its administrative autonomy only in 1948. Castellana today has two hamlets, Nociazzi e Calcarelli. From Palermo: Motorway to Catania - Tremonzelli junction - national road (SS 120) to Castellana Sicula. From Catania: Motorway to Palermo - Tremonzelli junction - national road (SS 120) to Castellana Sicula.